Do you treat both chronic and acute illnesses? Yes. We use a combination of various herbal and homeopathic medicines that effectively treat many acute disorders such as colds, flu’s, diarrhea, ear infections, coughs, rashes, and many more. It is very rare that antibiotics, steroids, or any other suppressive treatment is needed, though the doctors do have the ability to prescribe such medicine if required. We excel in our treatment of chronic illness because of our philosophy of treating the whole individual. As the whole body gains health, chronic disease is prevented, treated, and often reversed. Yes. We love to welcome children of all ages into our clinic. We treat many conditions in children including acute infections and chronic illness. Common conditions we treat in children are asthma, autism, ADD and ADHD, gastrointestinal complaints, and newborn complaints. We excel in our treatment of children because we have a significant amount of treatment options for infants and children other than antibiotics. Repeated antibiotic use in children can cause gastrointestinal problems, decreased resistance to infection, and doesn’t promote the proper functioning of children’s immune response. Children respond especially well to homeopathic medicines and specific nutritional support. Can you be my child’s primary care physician? Yes, we can address all needs for your child including well child examinations and vaccination counseling. Yes, we can address all of your needs including examinations such as well women and pap exams, running lab tests, and monitoring test results. If you are on multiple medications that were prescribed by another physician, we can discuss your options regarding managing your current medications. Many medications we can supervise, but there are a few that we don’t. Yes. There are a number of doctors and other practitioners (MD, DC, L.Ac.) that we work with on a regular basis. Because so many people are new to naturopathic medicine we offer a free 15 minute consult so that you can meet the doctor, get some general information and decide if you want to work with us. During these free consultations, no treatment or diagnosis will be given. These visits are intended as an introduction to the clinic only. Usually we can schedule an appointment within a few days to 2 weeks. Frequently, for emergencies we can get people in on the same day. How many doctors do you have in the clinic? There are two staff doctors and two resident doctors that cover both locations 5 days a week Monday through Friday. 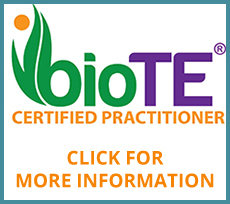 How are naturopathic physicians educated? In order to become a licensed naturopathic physician, one must complete undergraduate premedical course work and then attend a four year accredited naturopathic medical school. Following graduation, there is a three day long series of national accreditation exams that must be passed before a candidate is eligible for license, to practice naturopathic medicine. The successful completion of these exams enables the naturopathic physician to practice primary care medicine in accordance with the licensure laws of their particular state. In order to be fully licensed in a particular state a candidate must sit for, and pass, additional state exams. Once licensed, to maintain a license, continuing education courses must be completed every year. Our philosophical approach to health care is described throughout this site. To learn more about the requirements, program of study, and scope of practice, we encourage you to visit the university or professional organization sites listed in the link section of this web site. Yes. In the states that license and regulate naturopaths, we are primary care physicians. In Oregon, we have one of the widest scopes of practice for Naturopathic Physicians, and Oregon upholds the highest academic standard for it’s licensed physicians. We have the ability to prescribe medications, though our formulary is not as complete as a medical doctor. Many insurance companies have policies that provide coverage for naturopathic physicians. We generally recommend that you contact your agent to ask specifically if you have “naturopathic coverage.” According to Oregon state law, all automobile insurance must pay for medical services provided by naturopaths for injuries sustained in an auto accident. Yes. If your policy covers our services we will bill for you. If you have to meet your deductible or have a co-pay we will ask that you pay those charges at the time of service. Most insurance companies will not pay for medicines dispensed from a doctor’s office. There are some lab tests that we ask you to send in a check to the specific Laboratory when you send in your sample. We will still bill your insurance for covered tests so that you will be reimbursed for your expenditures. Does Medicaid cover your services? Yes, If you have Oregon Health Plan and you have an open card, your visits will be covered at this clinic. If you have a primary care physician listed on your card, you will need to get a referral to come to this clinic. Often, medicines will be prescribed that are not covered by Medicaid, but the doctors will work with you to come up with a treatment that meets your financial needs. If I have no insurance coverage, do you have a payment plan? Generally we do not allow you to pay for your visits overtime. Any supplements or lab tests need to be paid upfront thought we do offer a 20 % discount to patients who pay for their visit cost at the day of service. Yes. We take Visa, Mastercard and Discover. Do you take worker’s compensation patients? The clinic is open Monday through Friday from 9:30 am to 5:30 pm. The doctors do not see patients during lunch from 1 pm – 2 pm. Voice mail is always accessible when we are closed for non-emergent needs. Office visits are by appointment only. Yes. We maintain a dispensary for our patients. We mostly stock and sell products that are specially compounded (unavailable in health food stores) or medicines that are available by prescription only. For supplements and vitamins commercially available we prefer to have people go to a local health food store of their choice. Yes. We primarily use biotherapeutic drainage remedies, homeopathy, and gemmotherapy remedies in our practice that have been imported from European countries. We also utilize many injection therapies. Do you provide call for off hours? If you have an emergent matter after hours please call our answering service at 503-402-2525. If you need to speak with someone during normal business hours call the office. This phone is only for emergency use and is not to be used for prescription refills.